Iggy’s – Known To Be Singapore’s Best Restaurant. Does It Impress? 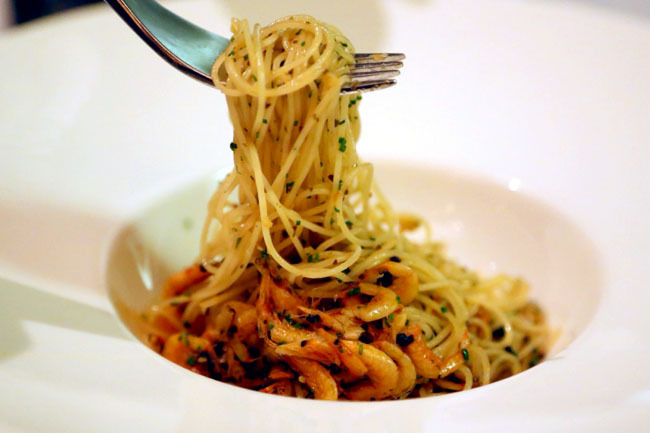 Iggy’s has been commonly known to be Singapore’ Best Restaurant. 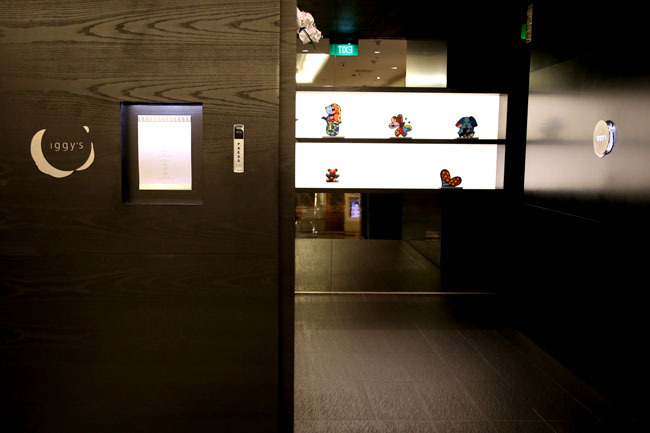 The restaurant named after respected restaurateur Ignatius Chan is in The World’s 50 Best Restaurants since 2009, the first restaurant in Singapore to be on the coveted S. Pellegrino list. 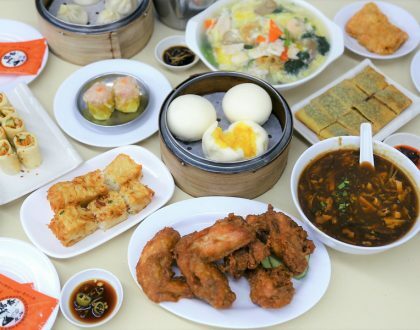 It was considered the best Asian restaurant in 2012 when it was placed at No. 26 (though fell to the No. 65 spot during 2013). 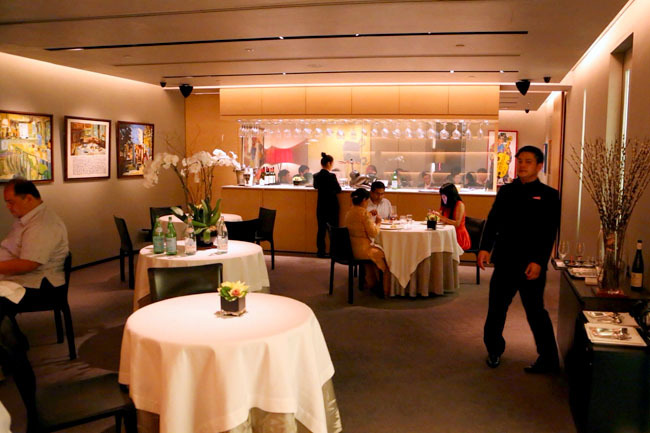 It has been named as the best restaurant in Asia 3 times by the Miele Guide. 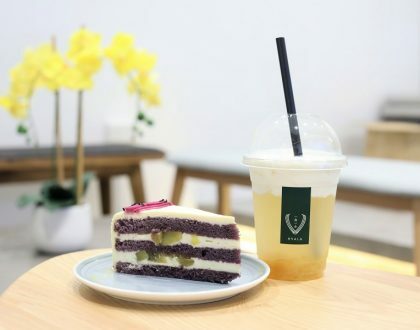 Recently, it was the only restaurant in Singapore to enter the Foodie Top 100 Restaurants, compiled by renowned food critics including Patricia Wells, Gael Greene, Ruth Reichl and Masuhiro Yamamoto. 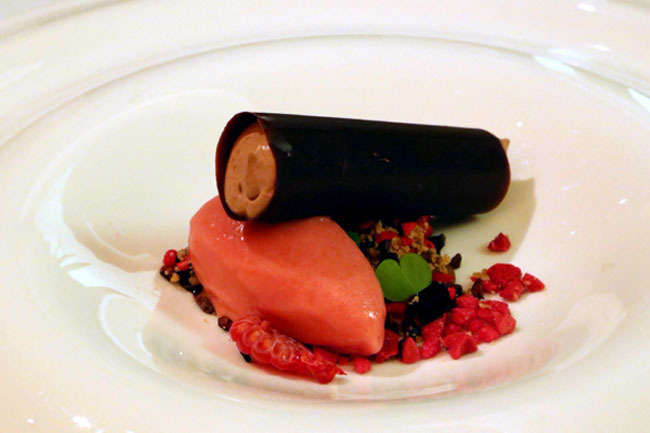 With that many accolades, one would expect more than a gastronomic experience. 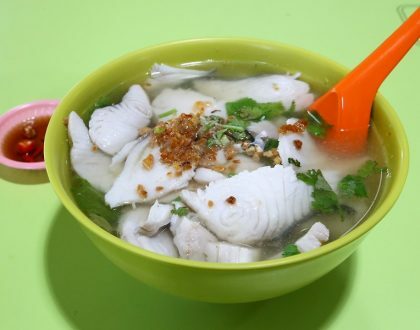 The main reason for me coming here is that to be a food blogger reviewing some of Singapore’s best restaurants, I should at least try THE restaurant widely known to be THE Best. It is tough to categorise Iggy’s food. Some call it European, fusion, or east-meets-west. More correctly said, Iggy’s create dishes based on its founder’s favourite food and combinations, incorporating inspirations from the Asian, European and Australian continents. 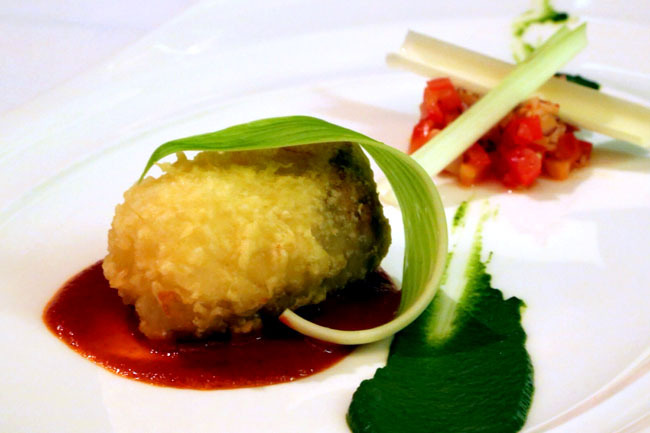 For lunch, the tasting menu is at $125++, while its usual Dinner Menu is at $195++ and Gastronomic Menu a pricier $275++. 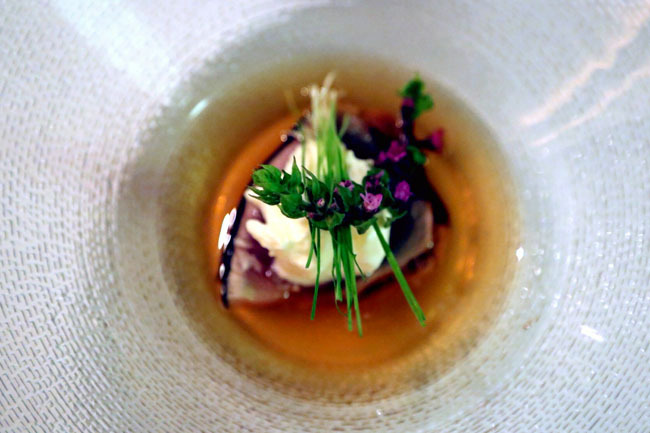 While its dishes are named simply, such as “Bonito”, the presentation of burrata cheese and ginger is like an exquisite piece of art, with taste with a print that is unique to Iggy’s. 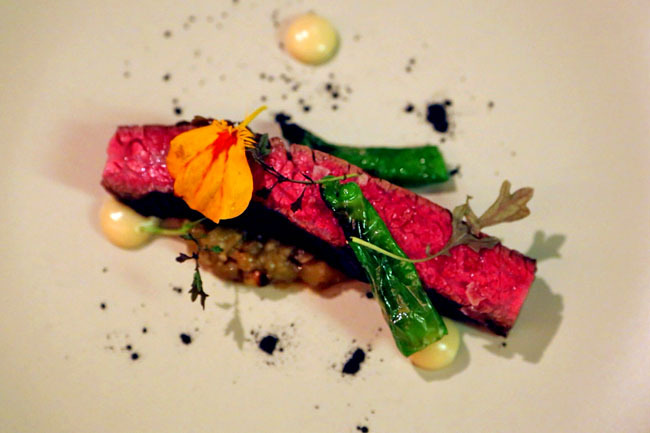 Take for example, another dish called “Chlorophyll – sea and soil”, uncooked vegetables placed on a deep black plate resembling an evolving stem. I may call this “Avatar”, but its present name is apt. 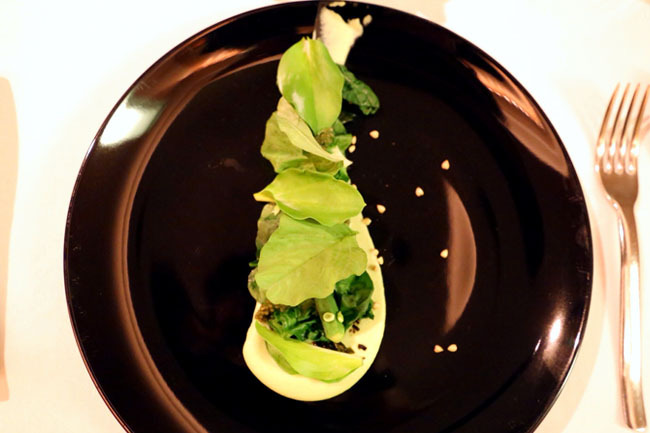 This is a salad of 34 different leaves and petals, all raw, all meticulously placed together. It is a visual spectacle more than a taste explosion, though chomping down 34 different plants at the same time will make an impressionable aftertaste- for the food or bad. However, when I would to look at the overall experience, Iggy’s reputation of the “Best Restaurant” could be a double-edge sword. Service was competent, reservations was easy (via an online form). But I did expect more ‘wow’. Some dishes were impressive, though a good half would not be as memorable or mind (taste)-blowing. Overall, you would have to appreciate Iggy’s for its aesthetic craft and creation of dishes not found elsewhere, unique to its name. I finished my internship here in America. Currently, I was at JW Marriott Grande Lakes Orlando and I am learning a lot over here. I hope that there will be possibilities that you would include me in your team. Aside from looking forward to learn more from you, I would also like to share what I have learned from here. I hope you would consider my request and I hope to hear from you soon. Attach herewith is my resume for your reference. may you have a great day! If is it agree( possible) send to here.. and i will send to my résumé..Thank you Chef. I’ve been to Iggy’s a few times and I would say that the new location is nowhere near as nice as the old Regent location. I really loved the counter experience. The new location is nice, but a bit sterile.